Библия на английском языке в переводе короля Иакова в классической (KJV) версии.. 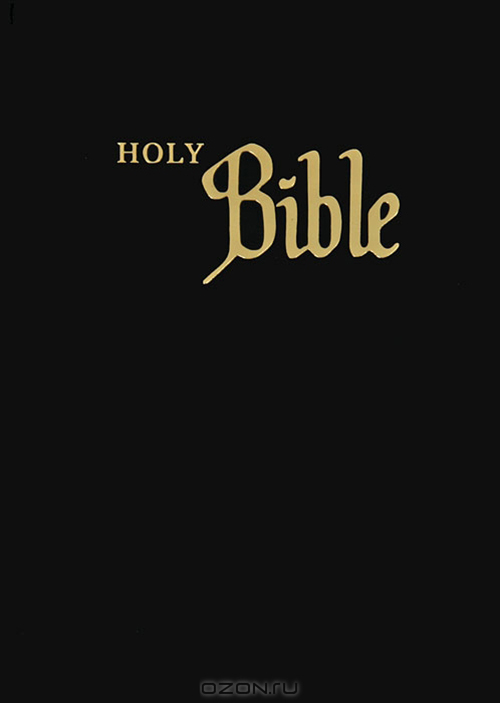 This English Reference Bible, edited and originally published by the American Bible Society, contains important helps which are called to the attention of the reader so that their significance and manner of use may be more fully understood. The text itself is made more readable and intelligible by some modernization of spelling, greater consistency in the forms of proper names (especially of Old Testament persons referred to in the New Testament), appropriate indentation for poetic portions, paragraphing and section headings to set off relevant divisions of the text, a handy reference system, and certain marginal readings which are helpful in understanding the text.